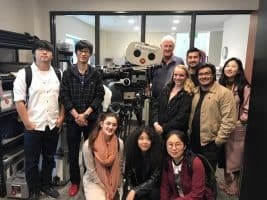 SOC Cinematography Students from the Academy of Art University spent the day at the SOC office with Michael Frediani and Garrett Brown. 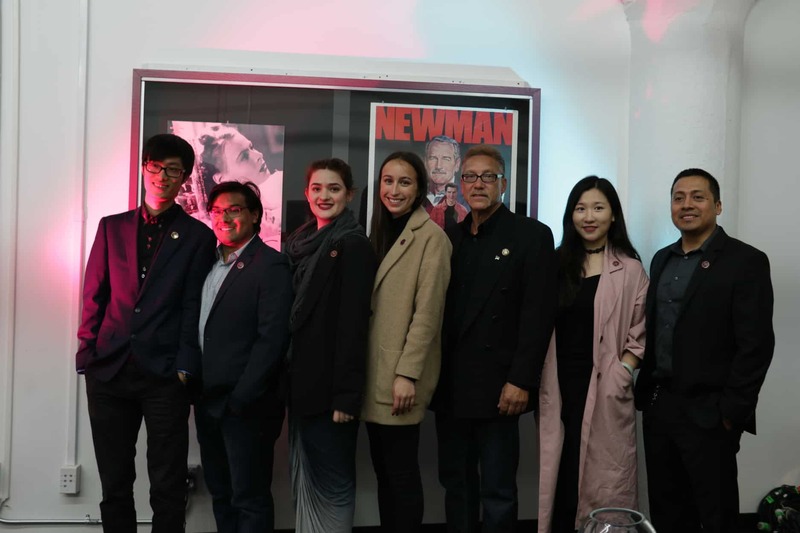 Each June, SOC member Hugh Litfin, who is also a Board member, coordinates an “Events” week that starts on the Tuesday of, and ends with the Cinegear Expo. 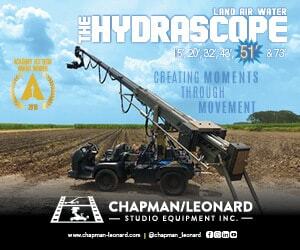 During that week, the focus is on Visual Authorship, Color Grading and Camera Operation. 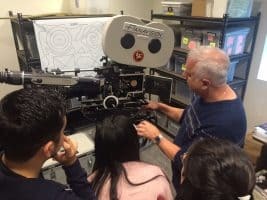 His students receive demonstrations and training from such facilities as Clairmont Camera, Panavision, Fotokem, Encore Post, Efilm and the SOC. On Wednesday, May 31 the afternoon event was Career Orientation and Camera Operating Techniques, which was held at the SOC office. 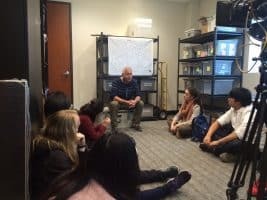 Michael Frediani, SOC who also is a Board member, gave the students an insight into what it takes and what to expect when you are planning a life and career in the camera department, from assisting to operating. He also covered film loading and camera building and the last part of the event was practicing on the Panahead, doing the infamous “Stand Up” shot which was directed by Frediani. The students were very excited to also be visited by Garrett Brown, SOC who welcomed them and gave them words of encouragement. 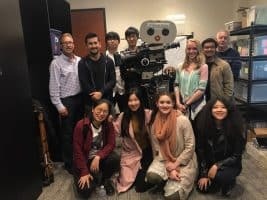 Hugh Litfin, SOC is an instructor of Cinematography and Lighting at the Academy of Art University in San Francisco and has a very large and active Student SOC Charter. At the end of each fall and spring semester, those students who have been accepted as Associate Student members are “pinned” during the Student SOC Mixer and Pinning Ceremony. On Thursday, May 25, four students were pinned as Associate Student Member and they are; Josh Montiel, Alex Shepherd, Kelsey Zhu and Marco Rivera. Two students were pinned as Associate Members and they are; Allen Men and Alicia Blair.